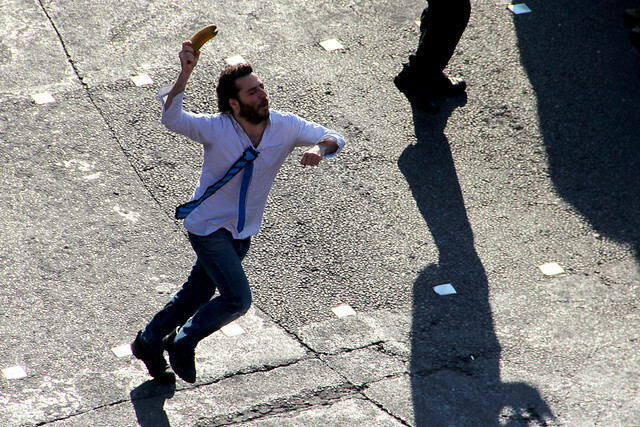 A little event happened just outside the Media Molecule office last Friday - you may have already seen it on twitter or facebook - but it’s been giving us so many giggles we had to blog it for your enjoyment. Because, there’s a video. 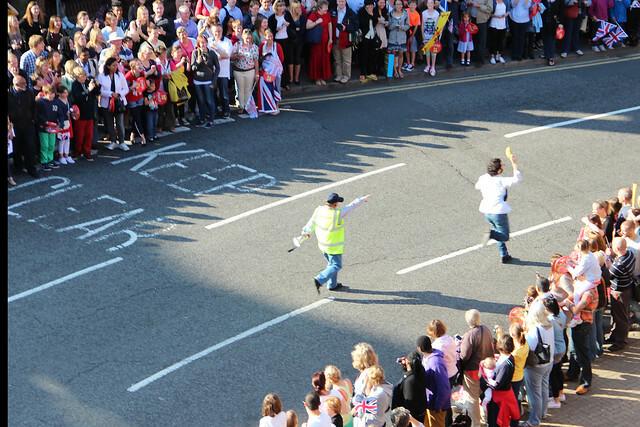 Incase you missed it, at about 6 o’clock last Friday, the streets outside our office in Guildford started filling up with crowds of people, as excitement grew for the arrival of the Olympic Torch. A few of us gathered around the windows because we had a prime view over the route, directly on the road below. 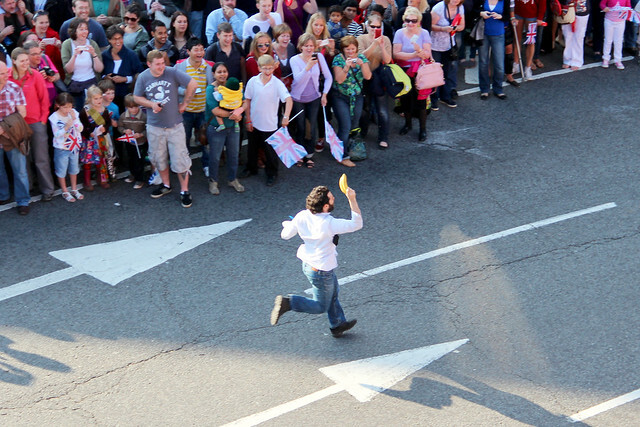 At some point, Omar made his exit from the building, and just moments before the actual Olympic torch was due to come down the road with the procession to ignite the crowds - He burst from the crowd to run down the road holding his the “Olympic Banana”. We were all in hysterics, so for your viewing pleasure, here’s our excitedly shrieky video evidence plus some photos. 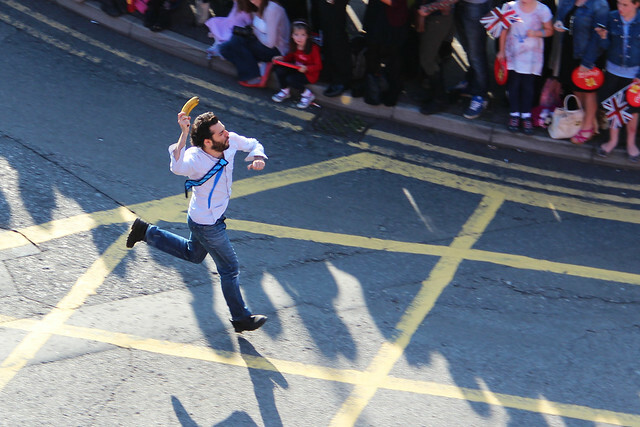 As Jim put it, he’s the “bearer of the true Olympic spirit”. Omar seems to be making quite a name for himself with his various antics, so I’m sure you’ll see more of him again in the future… Anyway, enjoy the real Olympics everyone!